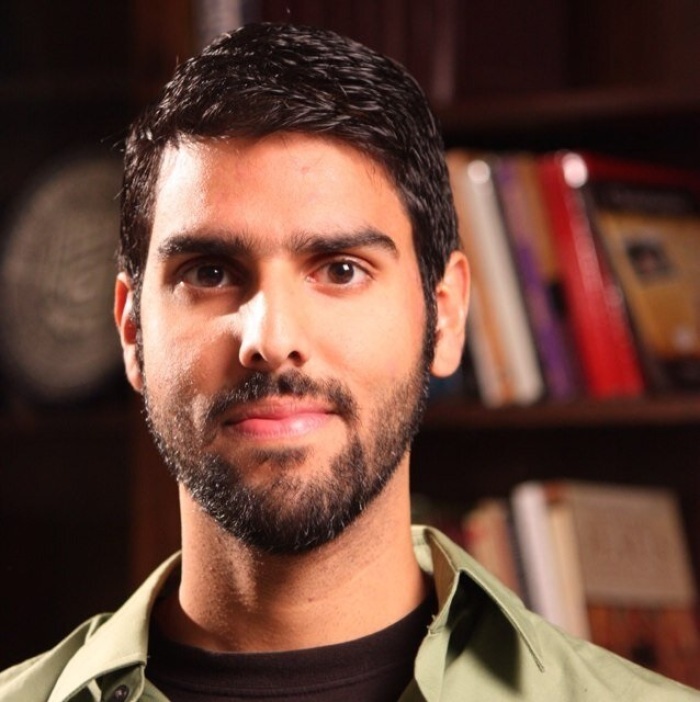 Nabeel Qureshi is the author of the recently released Seeking Allah, Finding Jesus and works as an apologist for Ravi Zacharias International Ministries. Quereshi was raised Muslim by parents who immigrated to the United States from Pakistan and came to Christianity over several years through intense conversations comparing the two faiths with a close college friend. In the interview, Qureshi shares why Ameircan Muslims need more American Christian friends, why South African pastors are converting to Islam, and why Mohammed's teachings about God cause dreams to be highly valued by the Islamic community. The following is an editied transcript of part I of this interview. CP: How did your own immigrant experience play a role in how you came to faith? Qureshi: I was actually born in the states. My parents came in the '70s. My mom was the one raising us because my dad joined the Navy so she really kind of raised us in a traditional Pakistani Muslim environment. Growing up, we learned how to follow Islam devoutly, which meant praying five times a day, reading the Quran regularly. It meant praying certain prayers every day — throughout the day you were remembering how you were supposed to live Islamic life. That was our experience growing up. When Muslims come from the Middle East or Far East, they are coming with certain presuppositions about Christianity and about the West, kind of like when we think about Middle Easterners and foreigners we have these preconceived notions. Unfortunately, a lot of Muslims remain unengaged by Christians or even by westerners, and so those false notions are never clarified. So my parents had taught me that Christianity was a "corrupting influence" — morally corrupting as well as theologically — and so they taught me to respond to Christianity with arguments challenging Christians with the reliability of the Bible or with the idea that the Trinity is blasphemy. We were [also] taught as young Muslims of being proud of our Islamic heritage and representing Islam well by being good people, by being respectful. My mom told me: "Nabeel, as a Muslim you are an ambassador for Islam. People are going to see your face, they're going to see your name, and they're going to see Islam in whatever you do and however you act, so be a good ambassador. Be kind, be respectful, be trustworthy, etc." That was all kind of the experience we had growing because of my parents' lineage and heritage. CP: What type of cultural sensibilities should Christians be aware of when sharing their faith with their Muslim friends? Qureshi: I think, generally speaking, Christians are too worried about what to say or what to do so much so that they end up not engaging much at all. So generally, I wouldn't worry about the sensibilities to avoid but would spend far more of my time emphasizing that people need to get out there, and get past their comfort zones and just reach out and start being friends with Muslims and engaging them in their lives. Now if we are in that position where someone is actively engaging someone and they say, "Well, I need to know what not to do." I think one thing to do is to focus on Christ. When you're talking about faith, talk about your faith. Don't assume you know what your Muslim friends believe. They could be devout Muslims, they could be following regional forms of Islam or they could be following traditional forms. They could be from one sect or another, who knows what they believe? Represent Christ. Talk about your faith. Let them interact with your faith, and as they wish share their faith and then you can interact with what they've shared. Have a humble heart so that they know if you do do something offensive, like if you accidentally serve them some pork or if you have a dog in your house when they come to visit, if you do do something that is kind-of offensive they will know that because of your heart, you didn't mean any harm. And so, humility is extremely important. CP: What stereotypes would you like to dispel about Muslim Americans? Qureshi: Yeah, again it's the fear thing. It's being afraid of Muslims and not knowing what to do with them. When I go out with my mother and sister and I see the way that people interact with them wearing the burqa, they get looks all the time. Come on. Can't someone smile for a change? Just to be nice and kind; Muslims are not dangerous. They're not angry. They're not hateful. Of course, some of them are: there are people of all kinds and of all stripes and of every religion and denomination, but to come at them in general with an attitude of fear or distrust is wrong. CP: Can you clarify the difference between the burqa and hijab? Qureshi: A burqa is any kind of garment worn by Muslim women that covers them pretty much from head to toe. Now does that mean none of their face is showing? Well Afghani burqas, yeah, they have little grills where you can't really see through and you can't see any of them. In Pakistan it is from neck all the way down to their feet and then they wear a hijab overtop their hair. Depending on where you are a burqa looks different and those are cultural trends and religious dictates. CP: Will you talk about the importance that dreams played in your conversion story? Qureshi: In Muslim cultures, generally speaking, people don't see themselves as being able to commune with God. Communion is a very Christian concept and the idea that Christ has torn down the veil — in a lot of cultures the veil is still up. In Islam, for example, people don't expect to have God talk back to them personally, as the Holy Spirit isn't living in them. They ask God for guidance through dreams; that's like the one way that Muslims expect to hear from God. I remember when I was a kid and my dad had a job decision to make or was thinking about where to move, he would do a special prayer called the salat istikhara. The whole point of salat istikhara is that you pray it every night until God gives you a dream. My dad would have prophetic and clairvoyant messages through dreams regularly. My mom too. My sister as well. For someone to reach out and ask: "God, can you tell me about you?" Or "If you're Jesus, can you show me a dream?" That's not strange at all. That's not a "Gideon" moment. That's kind of what Muslims do. CP: Is there a precedent in the Islamic tradition that established this or is it a cultural norm? Qureshi: There is a hadith, a tradition of something Mohammed said, which says that "The dreams of the faithful are prophetic." There's another one which says that "dreams are 1/46th of revelation." This does go back to Mohammed, as far as traditional Islam is concerned. The historical Mohammed? Well, I'm going to reserve my comments on that. CP: In your instance, it seems that dreams actually led you to Christ. Qureshi: For me, it was after having believed in Islam as a child, very devoutly, and being convinced that Islam is true up until seeing the evidence for Christianity, and being overwhelmed by the evidence for Christianity and then applying the same critical criteria when compared to Islam. Islam can't withstand scrutiny when compared with Christianity, as far as evidentially speaking. At that moment, I said, "Allah, if you are real I need you to answer the question for me: Who are you? If you are Jesus, then I need you to show me who you are." I remember in the Quran it says, "Allah hears those who call out to him." In the Bible it says, "Ask and you shall receive. Seek and you shall find. Knock and the door shall be opened." So when I was asking God for these dreams I'm basically saying, "God of the Quran and God of the Bible, both of you are saying that you will answer me if I call out to you, so whoever you are God, I need you now."